Revanta at Mulund West is a proud development by Piramal Realty Group. Also in terms of its destination/place "Piramal Revanta" is enveloped with attractive and great opportunities. The project covering acres of land with 3 high rise towers50 Storey each.It is first 1st project of Piramal Group in central suburbs.PiramalRevanta residences price starting from 72 lacs onwards. 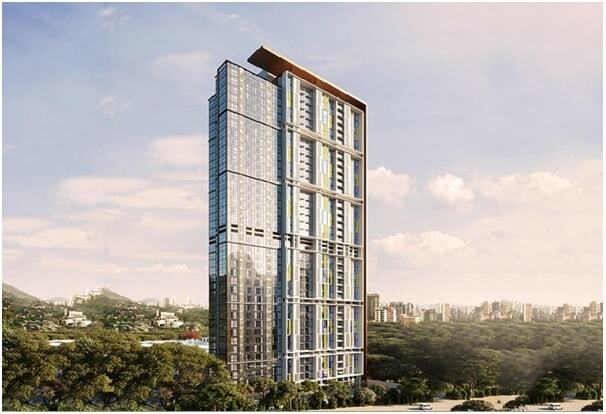 Piramal Revanta is one of the popular residential projects that is located in Mulund West developed by Piramal Realty.The pre launch plan of piramal realty is spread over 8.5 acres. Revanta consists of 1BHK, 2BHK and 3BHK apartments with modern amenities for the comfort of residents. Adding to this, it is situated close to the market, hospital and various educational institutions. The project has huge buildings of 45 floors with all the modern amenities. It also offers variety of residential apartments so that you can chose your house of best designs. Revanta is connected through main region of city via linking paths and roads.This new pre launch project is located near the express highway near lifestyle mall and d mart. This project is also situated nearby of Sanjay Gandhi National Park.There are many industrial zones,IT/ITES park, industrial parks and businesses encircled with PiramalRevantaIt is easily accessible and cause of the fascination for the people who want to reside near of central point of city i.e.Railway Station. It also accrues many facilities from its location which shows that it is known for its strategic planning and affordable price. In the past decade Mulund is known with limited residential apartments. After prelaunch of Piramal Revanta project it one of the most demanded location for property investors & endusers. Revanta is stands behind Nirmal Lifestyle, LBS Marg, Mulund West, Mumbai. This heavenly lifestyle setting features a range of contemporary amenities including Basket Ball Court, Club House, Gymnasium, Intercom, Security, Tennis Court, Play Area, Badminton Court, Community Hall, Health Facilities, Library, Rain Water Harvesting, Broadband Internet, Wi-fi, Swimming Pool, Cafeteria, Garden, Indoor Games, Maintenance Staff and Recreational Facilities. Schools : -Pawar Public School, Bombay Presidency International School, St Pius X High School, DAV Public School, NES International School, Vage College. Hospitals: - Dr. Sabnis Hospital, HiraMongiNavneet Hospital, Bhatia Hospital, Fortis Hospital,Mody Hospital. Movie Theatres: - PVR Mulund, Cinepolis, Carnival Cinemas, Mehul Talkies, Jawahar Talkies. Shopping Malls : -Nirmal Lifestyle, D-Mart, R-Mall, Pantaloons, Max Fashion, Planet Fashion. Banks/ATMs: - Axis Bank ATM, ICICI Bank ATM, Kotak Mahindra Bank ATM, Bank of Baroda ATM. Restaurants: -Kampa Chinese Restaurant, The Food Studio-Kitchen & Bar, Bombay Bites, Breeze Restaurant, Mc Donald's, Dominos.